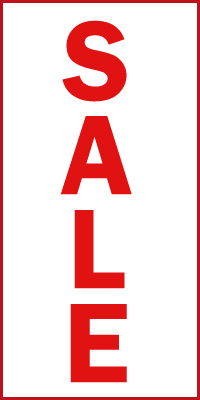 Books on this page are 50% or more off the normal price. The books are only available at these reduced prices while stocks last. Our usual postage charges still apply. See the Ordering section below for information about ordering these titles, (including alternatives to using our PayPal shopping cart buttons). our postage charges and orders for overseas customers. 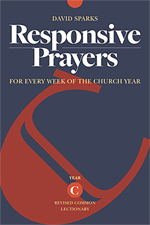 This collection of responsive prayers, based on the Revised Common Lectionary Year C, is perfect for clergy and lay leaders alike. 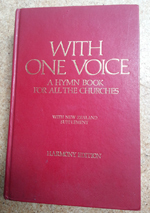 It offers an entire year’s worth of responsive prayers that can be adapted to a variety of settings and circumstances. This collection includes: full prayers for the Call to Worship, Opening Prayer, Words of Assurance, Offering Prayer, and Commissioning, as well as an outline for the Pastoral Prayer, for each Sunday of the lectionary year, plus Holy Thursday and Good Friday. 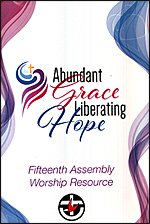 Worship Resources for Assembly 2018. 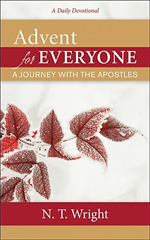 “…I encourage you to reﬂect on and celebrate the many ways God’s abundant grace and liberating hope are embodied in our world, our communities and our lives. The resources you will ﬁnd here have been developed by songwriters, poets, artists, liturgists and photographers from Australia and New Zealand. Fresh From the Word 2019. 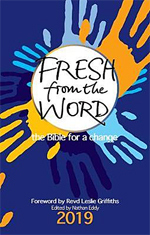 This fresh approach to Bible reading is aimed at new readers of the Bible from across the church, as well as anyone seeking a faithful, creative and challenging conversation with the Bible every day of the year. 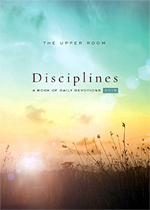 A Book of Daily Devotions. Reading and reflecting on scripture is a spiritual practice that provides daily inspiration and spiritual nourishment for those who seek God. In this best-selling devotional guide, readers encounter a diverse community of thoughtful Christian writers and theologians who guide them toward a deeper relationship with God. This is a book about community, about fostering the potential of children to boost New Zealand’s wellbeing. 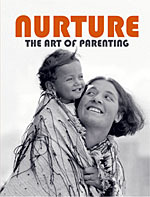 It’s a book of parenting ideas, shared by parents keen on growing the greater good. These parents challenged the norm and demonstrated that everyday parents have great ideas that should be shared. 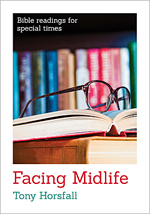 In this small book of undated biblical reflections, Horsfall shows that God is involved in the midlife transition, using it to shape and form us into the likeness of Christ, and to prepare us for the exciting calling he still has for us. Science, God and the Human Quest for Meaning. 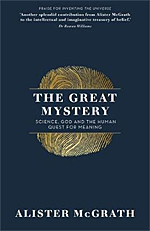 Theologian Alister McGrath and Andreas Idreos Professor of Science and Religion at Oxford University, explore the question of human nature from both scientific and religious perspectives. The Lectionary: Te Maramataka 2019. Anglican Church in Aotearoa, New Zealand & Polynesia. Pbk 146pp. 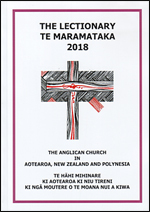 Anglican Church in Aotearoa, New Zealand & Polynesia (2018). 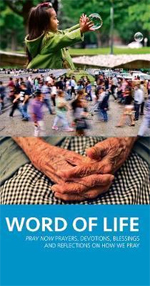 Covers December 2018 to 31 December 2019 and puts into convenient form many of the provisions of The New Zealand Prayer Book and introduces elements from other sources which will be of benefit to the church. 33 diverse authors from various Christian traditions and world religions record their own prayer practices and experiences. This is not a ‘how to’ book or a book of prayers. It is a description about other people’s prayer styles and experience. Living a Spiritual and Ethical Life. 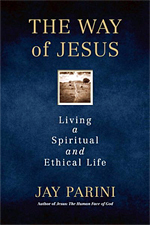 A book for progressive Christians and spiritual seekers who struggle, as Parini does, with some of the basic questions about human existence: its limits and sadnesses, and its possibilities for awareness and understanding. 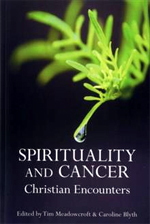 His refreshingly undogmatic approach to Christian thinking incorporates teachings from other religions, as well as from poets and other writers who have helped Parini along his path to understanding. Slaying Giants, Walking on Water, and Loving the Bible Again. If the Bible isn’t a science book, instruction manual, or position paper, then what is it? 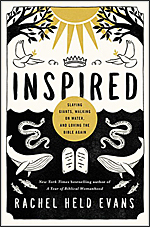 Bestselling author Rachel Held Evans invites readers on a journey of rediscovery as she explores the magic of the Bible, engaging the old, familiar stories in new ways that honour the past and enlighten the present. 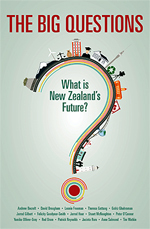 What is New Zealand’s Future?. Various Authors – see below. This book looks at many aspects of our lives and our nation. Experts in their fields write about the challenges that face us and the opportunities we have to make changes for the better. A fascinating set of perspectives and ideas on our way of life and our future as a nation. 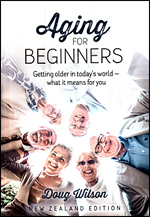 Getting Older in Today’s World – What it means for you. Doug Wilson. Pbk 264pp. ISBN 9780995103221. Plus 1 (2018). Most of us want to live not just longer, but better; living to our fullest potential, not just surviving courtesy of being hooked up to the latest technology. So, what to do? Dr Doug Wilson cuts through the fads and fallacies to concentrate on the core issues and the physiological and psychological reasons behind them. How Resurrection Shakes Our World. 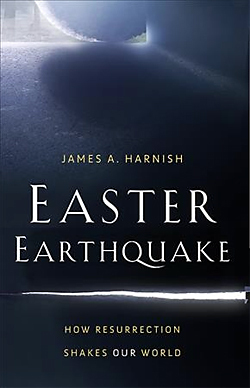 In Easter Earthquake, James Harnish invites us to place Easter at the center of our Lenten journey. Full Music / Harmony edition with NZ supplement. We have secured a second hand copy, in Very good condition, of this hard-to-find music book. The pages are complete and unmarked. Binding is solid. Covers show slight wear. 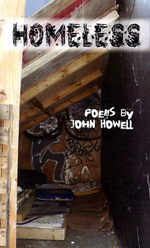 ‘John Howell takes us into a world where accustomed notions of “home” have been defaced, distorted and obliterated. It’s a familiar but uncomfortable place to be. This lively and engrossing book covers a vast historical range, from first-century Palestine to the latest Jesus-memes in popular culture, drawing on an enviable breadth of knowledge. 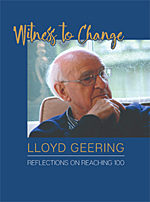 This book starts with the address Lloyd gave at the luncheon to celebrate his 100th birthday and then tells of the many changes he has witnessed during his lifetime. 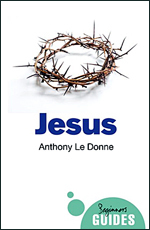 This is followed by a collection of addresses and sermons in which he discusses the changes that took place in Christian thought and practice during the 20th century, as a result of which his own thinking also underwent a radical change. Pray Now Prayers, Devotions, Blessings and Reflections on How We Pray. 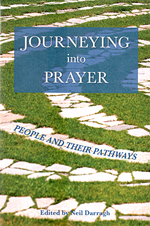 A fresh and inspiring collection of newly written prayer and prayer meditations that can be used by individuals, prayer groups and leaders of worship in all denominations. Talking Truth in a Post-Truth World. Jess Berentson-Shaw. 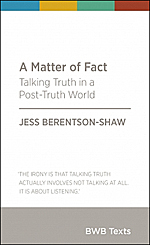 A Matter of Fact explores the science of communicating and presents innovative ways to talk effectively (and empathetically) about contentious information. 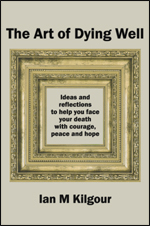 It is both an informative guide to constructive communication and a passionate reminder of the importance of finding what matters to all of us. New Zealand is a nation that exists on Pacific Islands, but does not, will not, perhaps cannot, see itself as a Pacific Island nation. 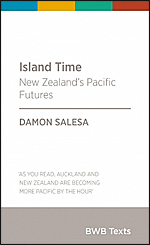 Yet turning to the Pacific, argues Damon Salesa, enables us to grasp a fuller understanding of what life is really like on these shores. What would it mean, this far-sighted book asks, for New Zealand to recognise its Pacific talent and finally act like a Pacific nation? Darton, Longman & Todd (2002). 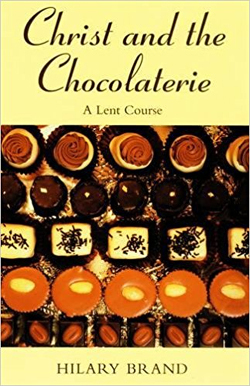 Using the film Chocolat as a starting point for exploring issues about God, the world, Hilary Brand has designed five group sessions on the themes of giving, acceptance and change. Popular biblical scholar and author Tom Wright provides his own Scripture translation and brief reflection, helping readers understand Advent in the wider context of God’s love. We ask for prepayment with orders. You are also welcome to pay by telling us your Visa or Mastercard details, by online banking or by cheque. Email or phone us to place your order and arrange payment using one of these options.Each month we choose a selection of titles that we think you will find stimulating and satisfying to read. So come back to the Monthly Selections section of our website regularly. Please also ask us about any other books you are interested in. We will give you a price and time to deliver. Emailing us at books@pgpl.co.nz works best. Email us at books@pgpl.co.nz and we will email you an invoice so you can pay by online/internet banking or by posting us a cheque. Some books will be in stock. Others will be ordered in when you place your order. These will usually take 3 to 6 weeks to arrive. Our usual NZ postage charges apply: $5.50 for orders up to $65, $7.00 for orders up to $199.99 and freight free for orders $200 or over. Please email us at books@pgpl.co.nz with your requirements as we will need to deduct NZ GST from your order and higher postal charges will apply. We have over 150 titles loaded on Trade Me, many of which are now reduced to $5.00 or less (but only while stock lasts). These are all in stock now. 50 are listed as auctions at any one time. They are all Buy Now only, so order straight away to secure your books. The listings last 5 days, so come back every few days to see a fresh list. Click here for our current listings on TradeMe.